Q. Do you have past exam papers? Past exam papers are available via the Resources tab. Only those papers that are released by the school can be accessed from the Exam Papers page. After entering your WesternAccount login you will be prompted to select the name or unit number. Leave the year and semester as 'Any Year' and 'Any Semester'. If papers have been released they are generally available for the following semester exam period. Each school determines if exam papers are released. 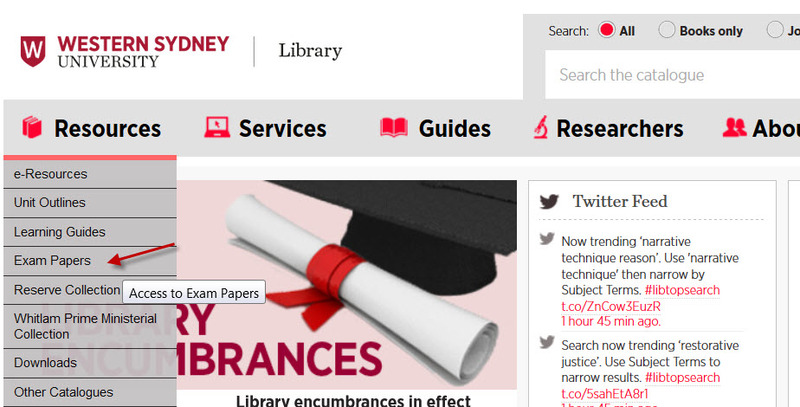 If the paper you are searching for is not in the Library’s repository and you would like to enquire further, please check your vUWS page or contact your unit coordinator.